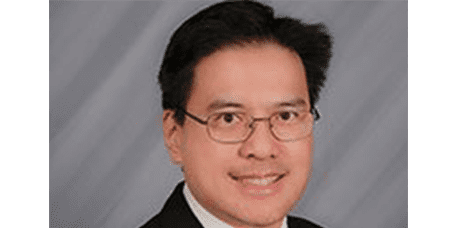 Restorative Dentistry Specialist - Torrance, CA: Eugene Y. Yang, DDS: General & Cosmetic Dentist: Eugene Y. Yang, DDS, INC. Although tooth decay is highly preventable, it remains one of the most widespread chronic health problems. While avoiding sugary foods and maintaining good oral hygiene habits can help prevent cavities, treating decay before it has a chance to spread is essential to optimal oral health. Dr. Eugene Y. Yang is an expert at finding and treating tooth decay. From his office at Eugene Y. Yang, DDS, INC. in Torrance, California, he provides a full scope of restorative dentistry services to patients from the South Bay area. If you have untreated tooth decay, call the office or book your appointment online today. Tooth decay usually starts with the accumulation of plaque, or the thin, sticky film that forms on your teeth when sugar interacts with the bacteria in your mouth. When you don’t brush as often or as well as you should, it allows plaque and bacteria to build up on your teeth. As the bacteria begin to eat away at your tooth enamel, it creates spots of decay known as cavities. Eating a diet that’s rich in sugar or carbohydrates boosts your risk of developing cavities. Why is it important to treat tooth decay? While it’s possible to live with tooth decay in its earliest stages, untreated cavities can progress quickly and lead to far bigger problems. The same buildup of plaque and bacteria that cause cavities can eventually cause gum inflammation and lead to gingivitis, also known as gum disease or periodontal disease. Left untreated, tooth decay can also spread to multiple teeth. Cavities that are allowed to progress for too long may ultimately lead to the need for root canal therapy or even a complete tooth extraction, if the tooth is too decayed to be saved. Restorative dentistry includes any dental treatment that restores functionality to your teeth, which includes repairing the damage caused by a cavity. A filling restores a decayed tooth back to its normal function and shape. Before Dr. Yang can fill a tooth, he must first remove the decayed tissues and clean the affected area. The type of material he uses to fill the hole caused by a cavity depends on its location in your mouth and the extent of the repair. These plastic fillings are customized to match the exact color of your teeth for a natural appearance. Although these fillings are the most aesthetically pleasing solution because they’re virtually imperceptible, they’re not as durable as amalgam fillings. They also aren’t ideal for larger fillings because they tend to chip more easily. These silver fillings are more resistant to wear and tear, making them an ideal material for the surface of your molars, which bear most of the force when you chew. Because of their darker color, amalgam fillings aren’t aesthetically suitable for the sides of your teeth, or teeth near the front of your mouth.